If you want a new stitch to try on the Knifty Knitter looms, I recommend the honeycomb stitch. It offers a unique touch other stitches just don't offer, and it works well for scarves or knit panels you can then sew into blankets or afghans. 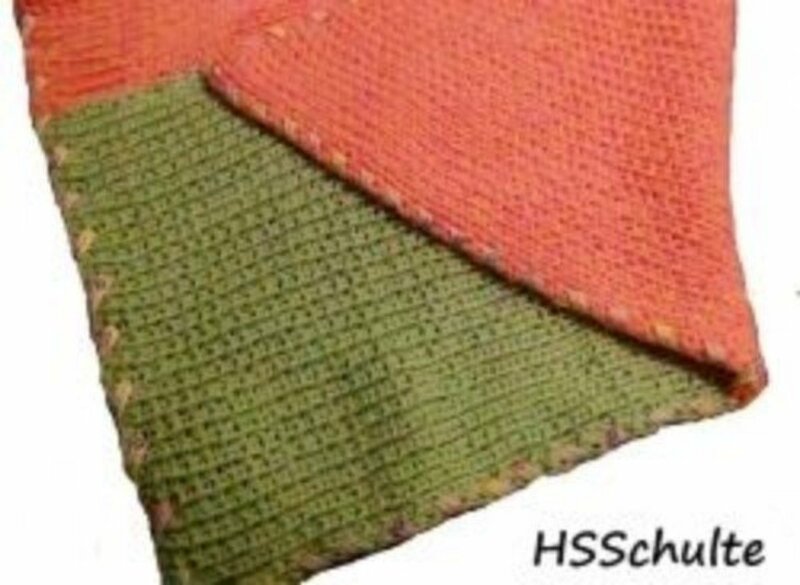 The honeycomb stitch is a variation of the double ribbing stitch where you alternate the rib placement every five rows. 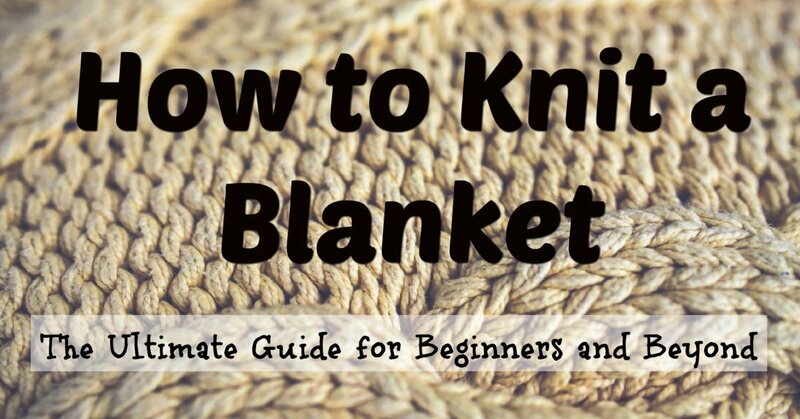 The appearance mimics a beehive's honeycomb, and the technique is great for a knitter with intermediate skills. Let's get started! The yarn you choose will affect how the scarf turns out. 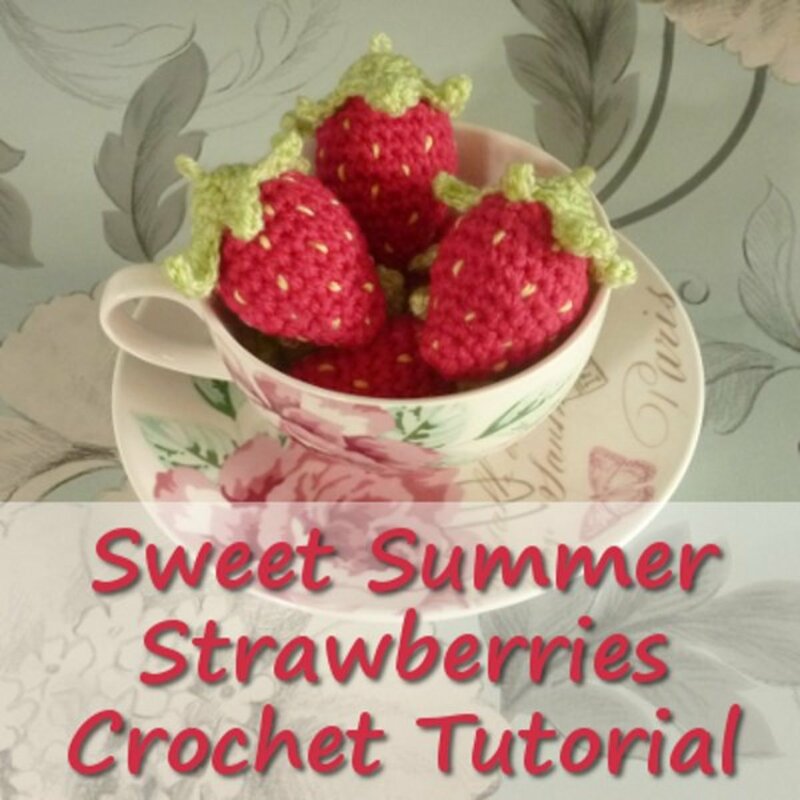 For this design, you need to select one that has a bit of stretch because it quickly becomes difficult to knit when attempting the honeycomb stitch. I suggest choosing a white or light pastel color to help the stitch design stand out. 1. Cut 48 pieces of yarn that are 12" long. 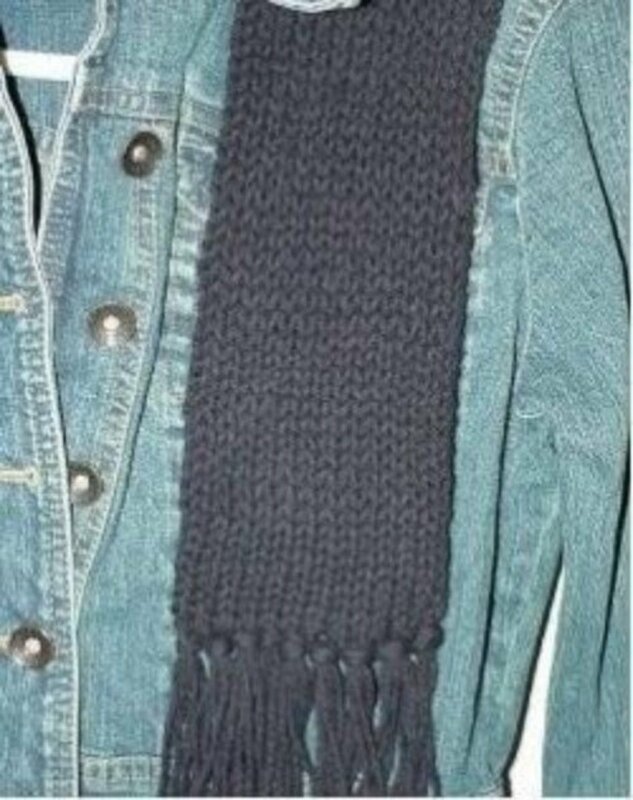 Save these to create fringe at the end of the scarf. 2. Tie a slipknot and secure it to the anchor peg at the end of the loom. 3. Begin the honeycomb stitch by wrapping as you would for the double ribbing stitch on the long loom. You won't be using the two pegs at each end of the loom (you can see them in the photo above). Only the ones with a corresponding peg directly across on the loom will be wrapped. 4. Holding two yarns as one, wrap the loom. Go around the first peg by pulling it in the cursive letter "e." The top of the "e" should face the outside of the loom, and the crisscross of the "e" should face the inside of the loom. 5. Stretch the yarn across the loom to the peg directly across from it. Wrap this peg in the "e" fashion also, with the top of the "e" facing outward on the loom. 6. Next, stretch the yarn across to the next peg on the same side of the loom and wrap it with an "e" (this will be the second peg wrapped on the same side). Pull it to the other side of the loom and wrap two pegs in the row before crossing the loom again. 7. As you continue wrapping twice in each row before crossing the loom, you will notice a distinct pattern. 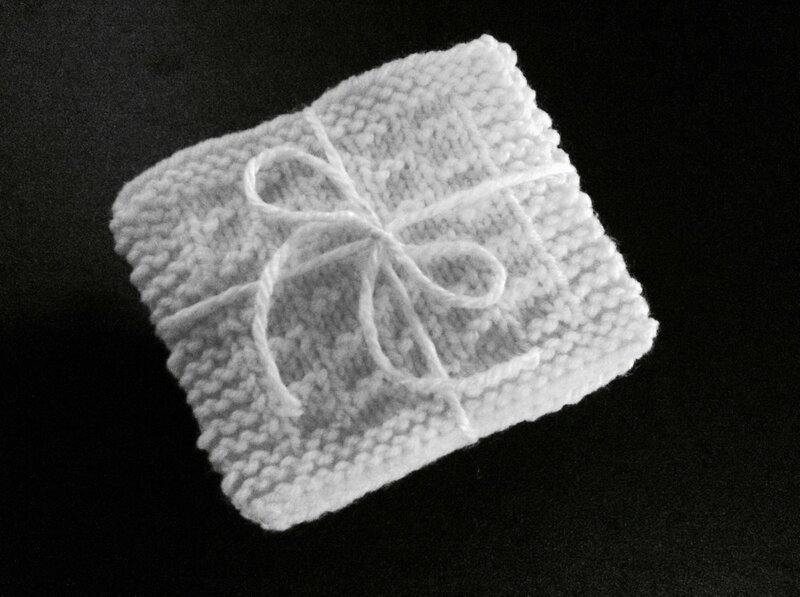 The wrapping pattern can be hard to adjust to initially, but once it'll become more natural as you practice doing it. 8. 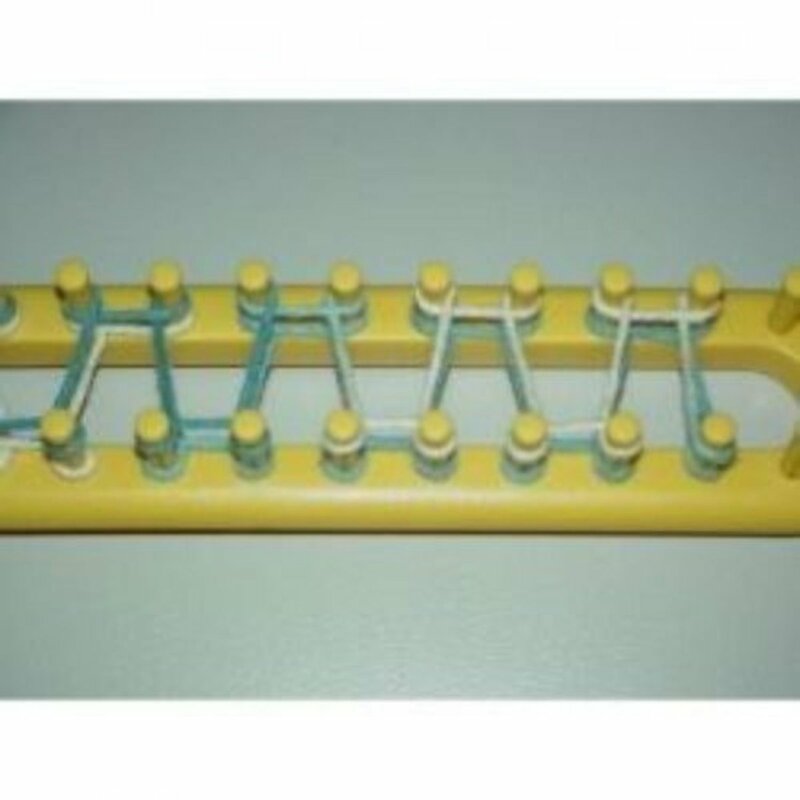 The last peg wrapped in each row will only be wrapped once or simply looped around. It is not wrapped in an "e" pattern like the other pegs. The photo above shows the loom after it's been wrapped twice, and you can see that the yarn follows the same path around the pegs. 9. It is now time to knit! Use your Knifty Knitter yarn hook to pick up the bottom loop on each peg and lift it over the top loop. Release it from the peg by dropping the loop toward the inside of the loom. 10. After you knit off the first row, use your fingers to push down the loops remaining on the loom. Notice only one loop is left on each peg. We need to fix this so we can knit off again. Wrap the loom once more, tracing the pattern of the yarn as you did above. When you have finished wrapping another row, you can knit again. 11. Continue the method of wrapping to get two loops on each peg and then knitting off. As you knit each row, you will notice it begin to grow and feed out the bottom of the loom. 12. 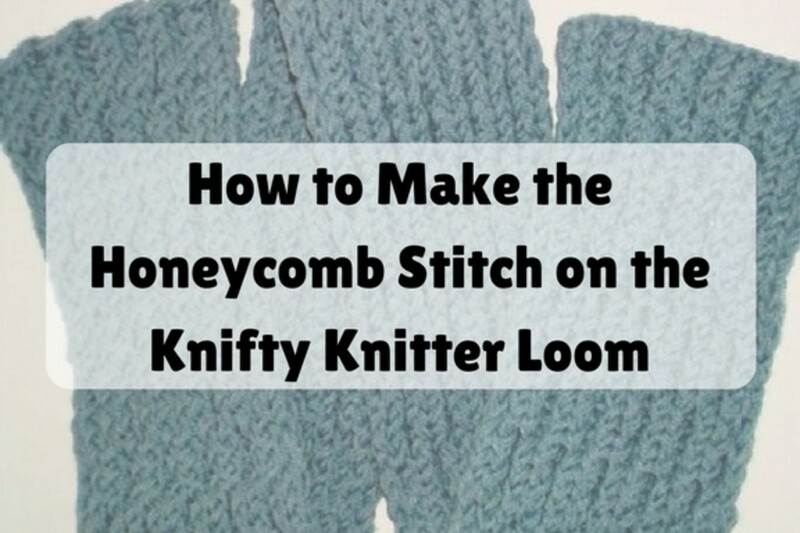 Once you wrapped the loom and knitted off five times, it's time to create the honeycomb pattern, which you'll accomplish by changing the way you cover the loom. 13. Before you begin, take a moment to look at the wrap pattern on the loom. Do you see how the outer pegs of the loom have yarn stretching across in alternating sets of 2? A gap exists between some pegs as indicated in the photo above. Your goal in wrapping the loom the 6th time is to fill in the gap. In other words, any place the yarn was not wrapped previously will be addressed now. 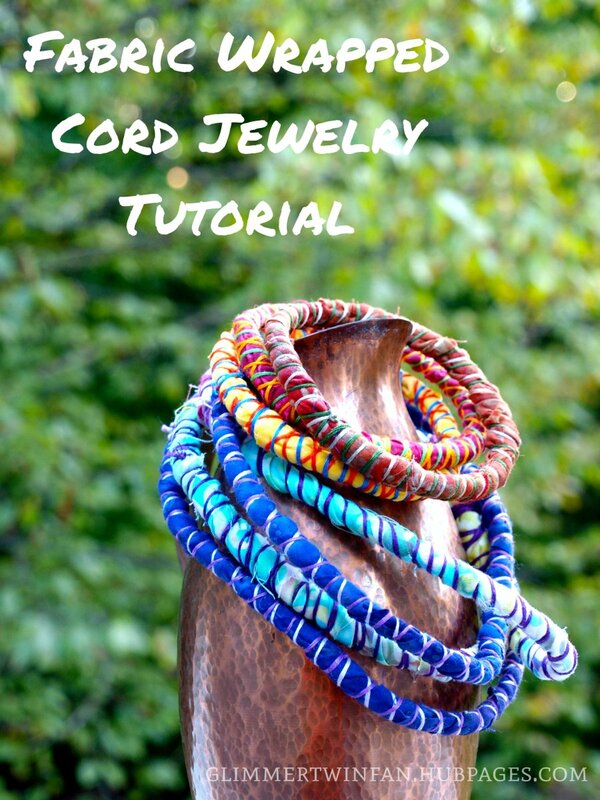 As you experiment with this wrap, use your thumb to hold one of the last few loops in place. If you accidentally release the yarn, your thumb will keep the entire row from unraveling. 14. 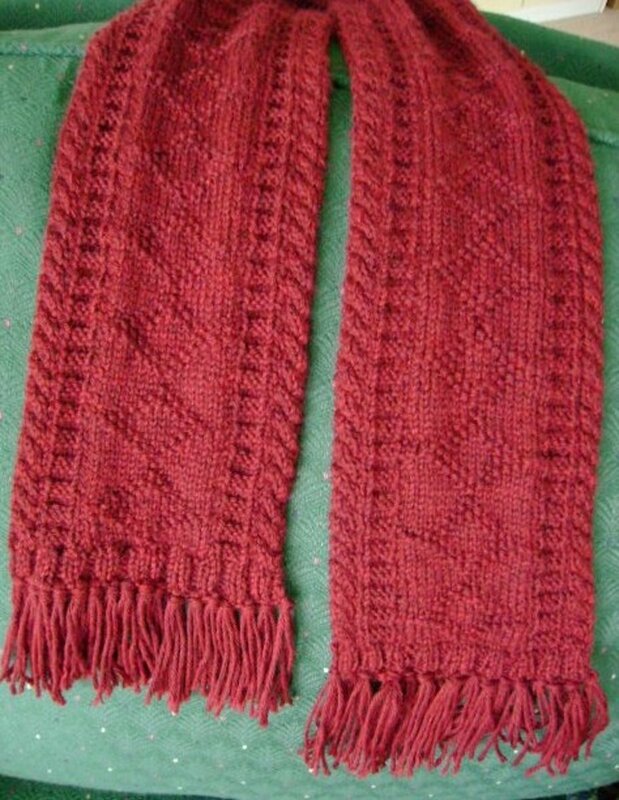 Continue wrapping and knitting off until your scarf reaches the desired length. Alternate the direction of the wrap every five rows to create the honeycomb pattern. 15. When your knit is long enough, you'll want to remove it from the loom. This is called "binding off." Start at the end of the loom farthest from your working yarn. 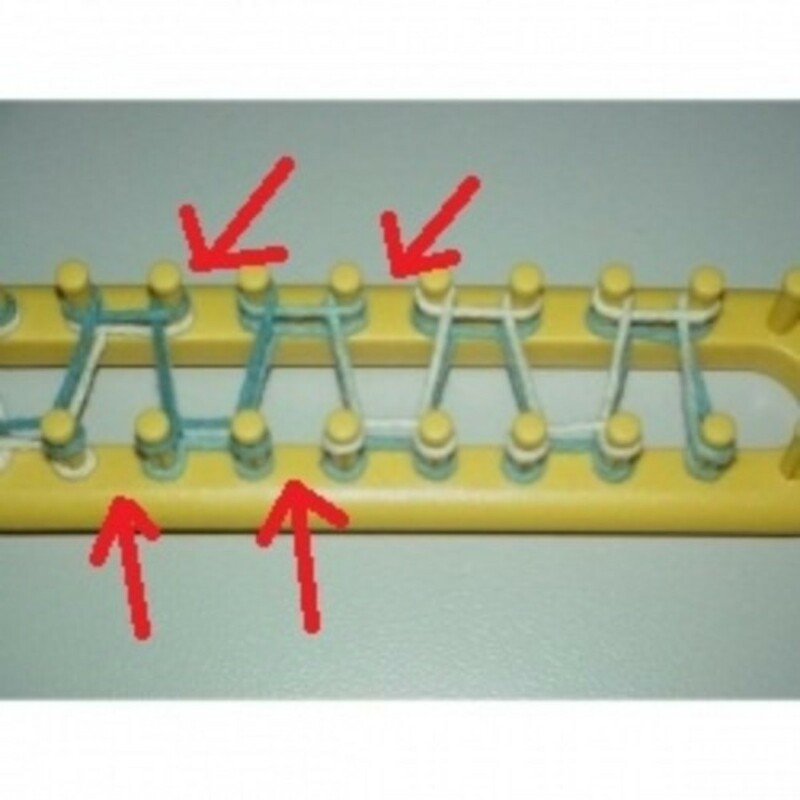 Remove two loops from their pegs. Insert a crochet hook in loop two and pull loop one through it with the hook. Remove the crochet hook and release loop 3 from the peg. Place the crochet hook through loop 3 and pull loop 2 through it. 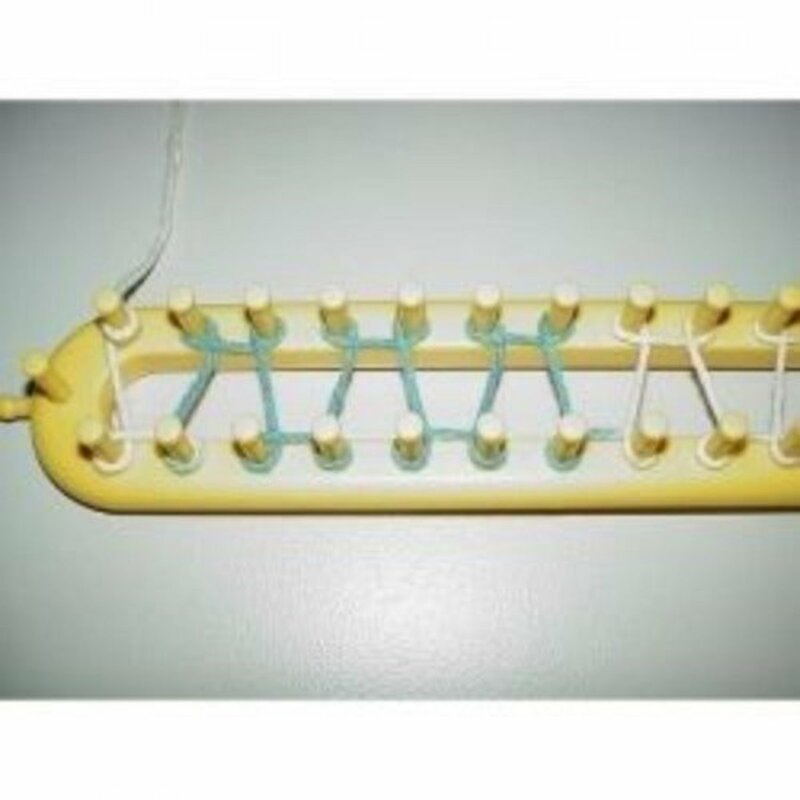 When all of the loops have been removed from the loom, thread a yarn needle with the working yarn and use it to tie off the last loop using a square knot. 16. Add fringe to the end of the scarf by folding 3 of the 12" yarn segments (cut earlier) in half. 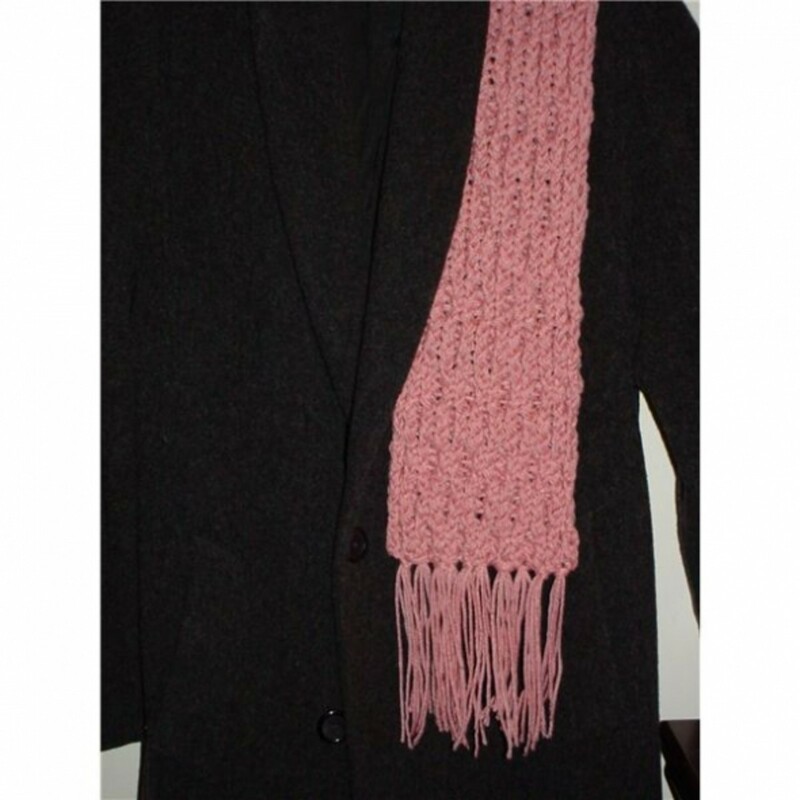 Insert a crochet hook at the end of the scarf and use the hook to snag the ends of the fold of the yarns. Gently pull them through about an inch. The yarn will have formed a loop when pulled through the end. Feed the ends of the yarns (all six) through this loop. Tug gently on the ends of the yarn to secure the fringe. Repeat these steps eight times at each end of the scarf. Do you have any questions or comments about the honeycomb stitch? Would you try out this project? If so, let me know, and I will get back to you soon! 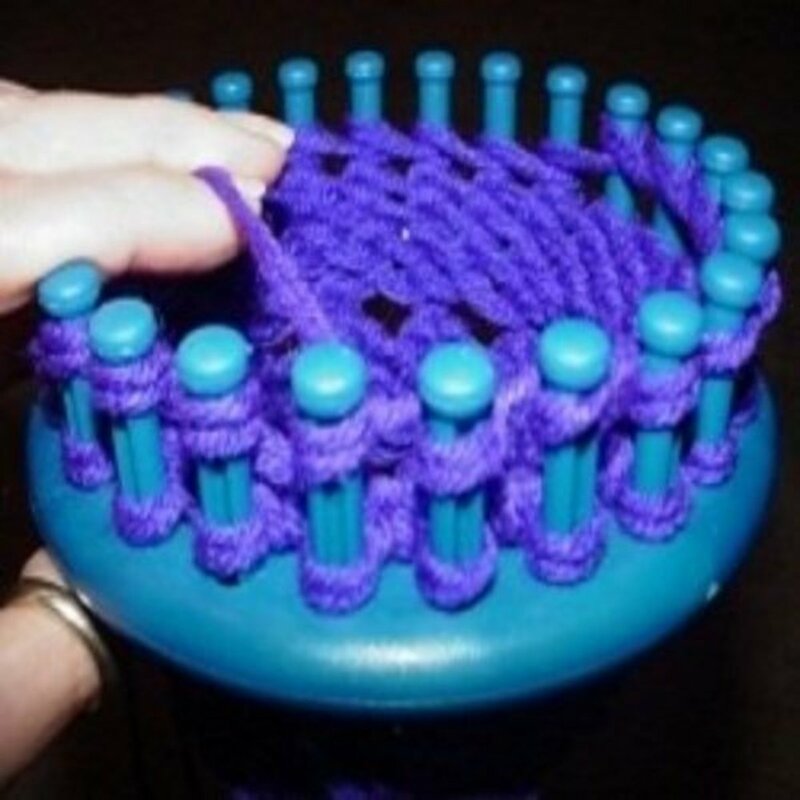 The only knifty knitter product I have tried is the pom pom maker and it's really fun. What a blessing to find this, I use the knifty Knitter round looms and the 10 inch and 15 inch long looms. I am really excited to learn this stitch thanks for this lens. Absolutely LOVE this unique scarf. These would make such super gifts or even Etsy items. Thanks...I will definitely let my mom know about this...great video. You make this look easy! I might have to give it a shot. I love the honeycomb pattern on the scarf. I think it would also look nice as a sweater or poncho. So pretty! Brought back memories of a few projects I did way back when....Nice lens!